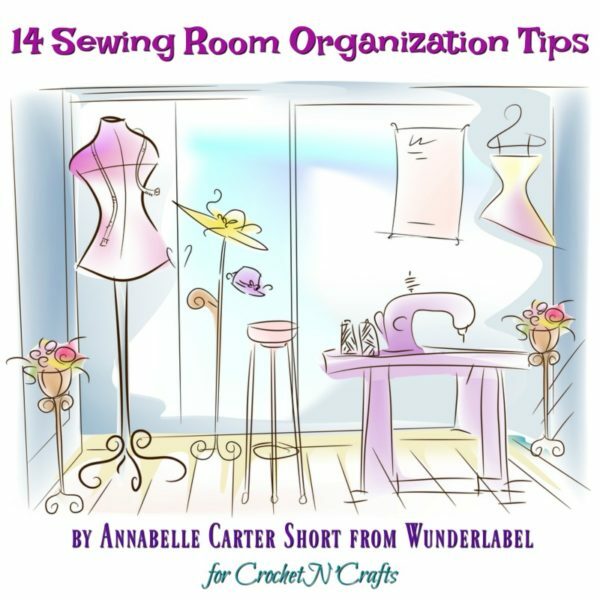 Today’s post, 14 Sewing Room Organization Tips, is by Annabelle Carter Short from Wunderlabel. As the title implies, the article is full of helpful tips to keep your sewing room neatly organized. And a neat sewing space helps to ensure you’ll enjoy creating beautiful projects from start to finish. Are you a sewing hobbyist? Are you interested in starting your own handmade business? Having a nice looking and creative space designed particularly for sewing makes the sewing process even more fun and easier! And, if you don’t know where to start, go through these top 14 tips on creating an ideal sewing space. When you’re seated on the chair, make sure your feet are touching the ground, and your back is fully supported. Also, make sure that you can reach the machine comfortably. If you can’t reach the machine easily or keep your feet on the floor, consider using a platform under your feet (book, or wooden platform) to keep the pedal close. Find a nice and comfy spot near your sewing machine to place your iron and ironing board. Store other tools you need to work on a nearby shelf. When choosing a sewing table, go for those ‘drop-in’ table, which comes with a pre-built compartment to keep your sewing machine’s level with the tabletop. On the other handing, purchasing a table that’s lower in height will run a risk of sparing your back. For best results, make sure to your cutting table surface is marked in a grid to help you later with squaring up and measuring your fabrics. A creative and welcoming sewing space inspires creativity and originality in your work. It also creates that fun element that’ll make you feel more creative with your work. So, create an idea board for your inspiration images, sketches, time frames, and fabric swatches to bring out that fun and creative element in your sewing projects. And if you also make garments, nothing can make your life easier than having a dress form (or tailor’s dummy). For maximum flexibility, purchase an adjustable version. If you have a space for a shelf, fold your fabrics and store them flat there so that you can quickly and easily find them (or see what you have) at a glance. When you’re inside your sewing room, the room has to be bright and clear to see your work properly. You also need to see how different colors match and contrast with each other. So, as you can see, you need natural lighting. And, in case your sewing space doesn’t have ideal lighting, consider purchasing bulbs that are designed to mimic daylight. A lot of time, a loose thread that you trim tend to end on the floor, instead of in the bin, making your sewing space untidy and unclean. So, keep your place nice and clean, keep trash bins near your sewing table, pressing board, and cutting table. For an easy reach, use a spindle rack near your sewing machine for all those threads you use regularly. To store seldom-used colors and specialty threads, use a clear box. Tools and accessories such as rotary cutters and scissors are more comfortable to reach if you hang them on a pegboard, instead of cramming them in a drawer. Or, you can use holsters on your sewing table to store and organize and keep everything at hand. A file box (or a filing cabinet) makes up an excellent storage for stashing away pattern pieces and other handy items (such as sewing supplies, tags, ribbon, labels, and other materials). 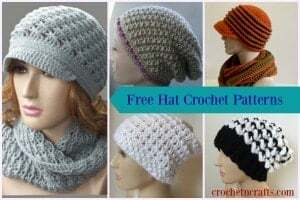 Or you can stash them away in a large envelope or a plastic bag, if that’s what you have, making sure that you note down the pattern size and number before filing. When sewing, you’ll definitely run into many problems. To troubleshoot sewing issues on time, you need a place to store your sewing machine, iron, serger, and any other tools, including owner’s manuals in one convenient location where you can easily access them. Keep your finished projects neat and clean (and out of the way) inside a closet that is dedicated to storing clothes. Also, make sure to label each rack to help you find your items quickly and easily when you need them the most. Well, that’s all you need. Whether you have an entire room dedicated to your sewing or only a closet, I’m sure you have found some incredible ideas to boost your creativity in your sewing space. Over to you: Would you like to share any tips (or ideas) to make your sewing space more efficient and welcoming? Please share them in the comment box below.